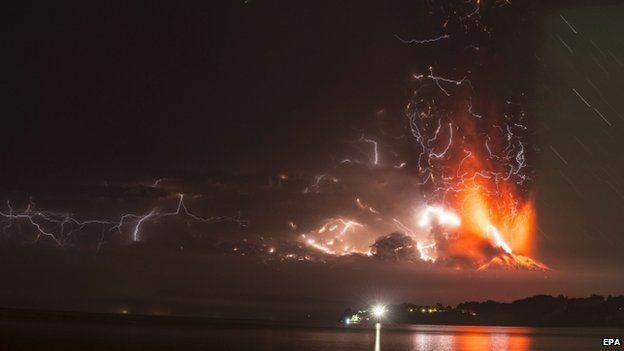 When a volcano erupts ash into the atmosphere, static charges in the eruptive plume can sometimes produce spectacular displays of lightning. Those same electrostatic charges, coupled with the presence of water vapor, can encourage the ash to clump together in small concentrically-layered orbs called accretionary lapilli. The individual lapillus grows by adding layers of new ash on its exterior. A hailstone forms through a similar process, though made of ice. Both hailstones and lapilli have a concentrically-zoned structure. Here is a suite of accretionary lapilli images from the Msauli Chert, exposed in the Barberton Greenstone Belt, South Africa, a kilometer or so from the Swaziland border. Sometime around 3334±3 million years ago, a volcano erupted somewhere. The ash rose into the atmosphere, with dusty bits glomming onto to one another to make lapilli. Eventually, carried downwind, the lapilli grew big enough that they settled out, raining down into the sea, piling up in granular layers on the seafloor. Later deposition covered and protected the lapilli, preserving them from erosion and weathering. 3.3 billion years passed, during which time they were lithified and uplifted. Sometime recently, the R40 road was constructed through Barberton Mountain Land, connecting the South African town of Barberton to Bulembu, Swaziland. A roadcut there exposes these ancient primary volcanic structures to the inquisitive eyes of visiting geologists. Hi, I got to go the the Barberton GEOTrail last year about this time. Spent 6 hours exploring the area. I could have spent days. Every stop had a different geological formation. I’m headed back to visit the western cape and up to Namibia to the desert. South Africa has a wealth of geology to explore. Thanks for sharing what you see!